Straight from the Devs: LOS ANGELES – Jun. 10, 2018 – At E3 today, Capcom, Capcom announced Devil May Cry® 5, the latest title in the action series. Devil May Cry 5 will be releasing in Spring 2019. The Devil May Cry® series, known for its blend of high-octane stylized action and otherworldly characters, first released in 2001. The main protagonist of the series is Dante, a demon hunter and son of the Legendary Dark Knight and demon Sparda and human Eva. 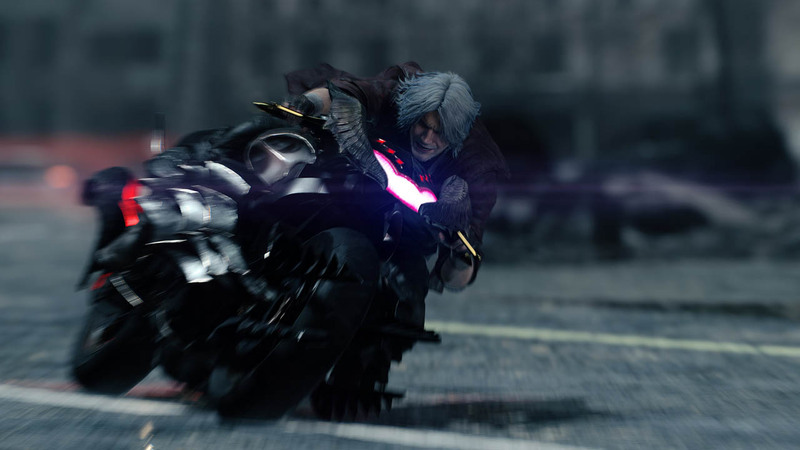 Throughout the Devil May Cry series, the eternal battle between the forces of good and evil plays out through the lens of this supernatural family drama, as the Son of Sparda Dante, seeks vengeance for his brother’s corruption and his mother’s murder. Devil May Cry® 4, Director Hideaki Itsuno and the core team have reunited to conclude the Sons of Sparda saga. Capcom’s proprietary in-house RE Engine states that with Devil May Cry 5,the series continues to “achieve new heights in fidelity, featuring ground-breaking graphics that utilize photorealistic character designs and stunning lighting and environmental effects.” The game features three playable characters, each of which offer a different combat play style as they take on the city overrun with demons. Adrenaline-fueled boss fights play out against destructible environments in the striking streets of Red Grave City.